On the 15th of each month, at 12 o’clock sharp Paris time, we post a photo on a theme chosen by Photo of the Month, a group of worldwide amateur bloggers and photographers. A beautiful opportunity to share our travel photos and memories. The theme for January is street art, chosen by Who cares? I must say thank you for letting us start the year with a simple and inspiring theme! Of course I like challenges… but sometimes it’s just so good to have a simple theme. Anyway, happy New Year to all of you! In Melbourne, there are a few streets, which are either hidden or busy, whose walls have lots of things to say to passers-by. It’s nice to spend hours walking them up and down, at a slow pace and eyes wide open. Some walls are covered by bright-coloured graphs whereas some others seem rather forgotten. So you have to watch carefully every detail of every pieces of wall not to miss any. Even this poster somewhat torn. Because this is precisely how street artists act. They want to be seen without being seen. They protest without being noisy, they express themselves silently. They create, and then keep quiet. To be heard. And we, as watchers, we look at the walls, scan the least square centimetres of wall searching for a hidden treasure. A sentence, a word, a pun that will find an echo in ourselves. Among drawings, collages, or graphs. It’s a world, in which there are neither standards nor limits, except perhaps the edge of the wall. I love street art. Especially when it hides in order to really express something. Something beautiful, something true or even completely ridiculous (but it’s actually never completely ridiculous). I must say, I secretly admire street artists. It’s been hard to choose a photo rather than another. We’ve got so many, quite different the ones from the others but all interesting. 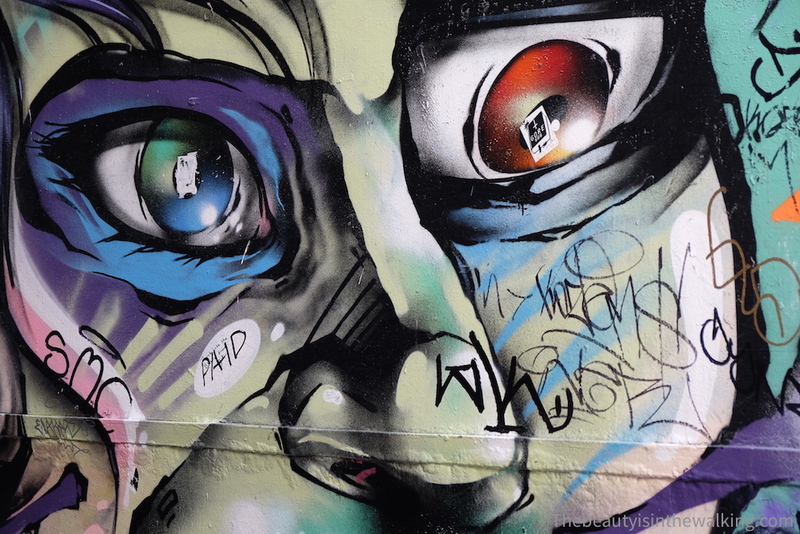 So, we’ve decided that we’ll write an article on Melbourne’s street art very soon. So, stay tuned! In the meantime, take care! It’s freezing cold here in Copenhagen. And you, what do you like in street art? We won’t be long! Melbourne’s a vibrant city. I’d love to spend more time there!